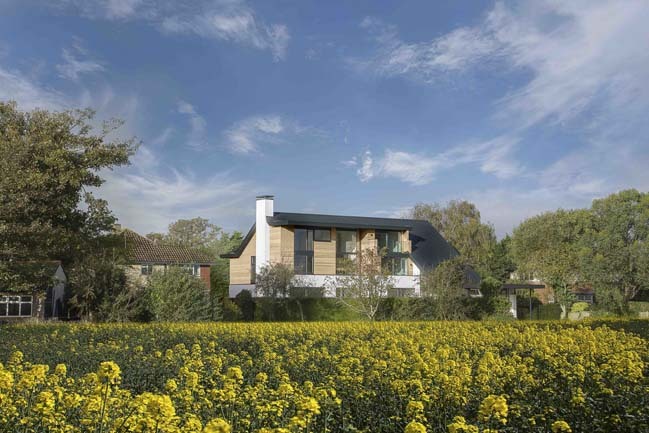 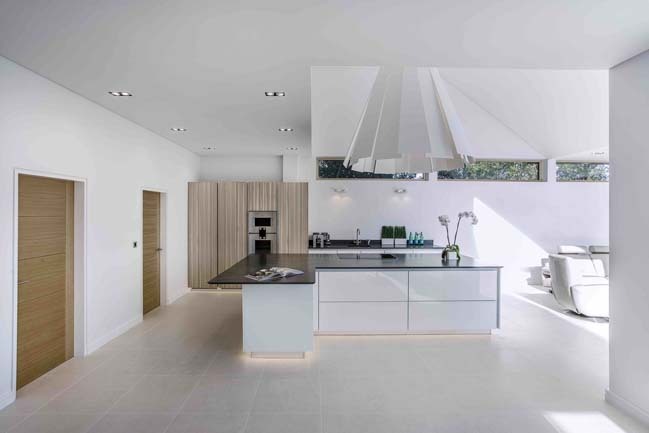 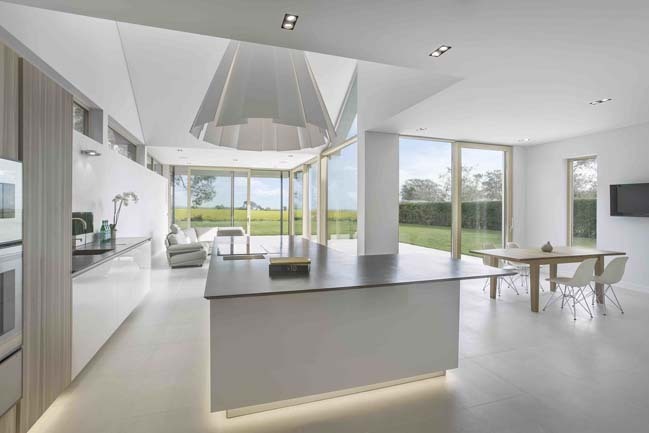 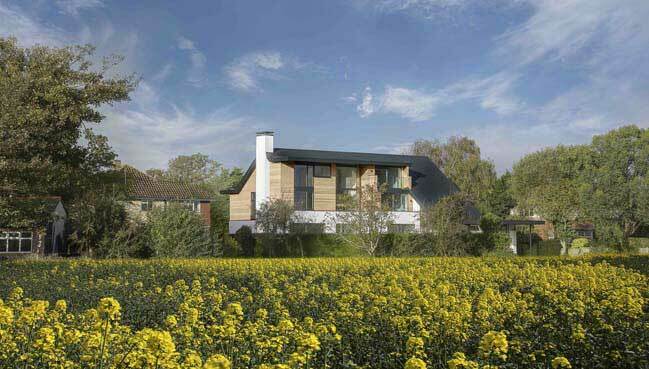 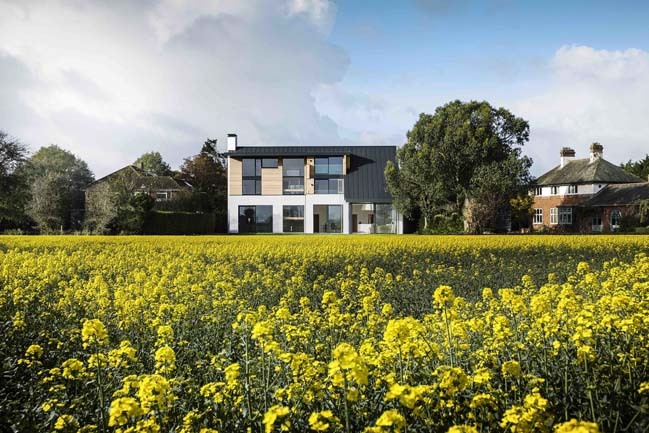 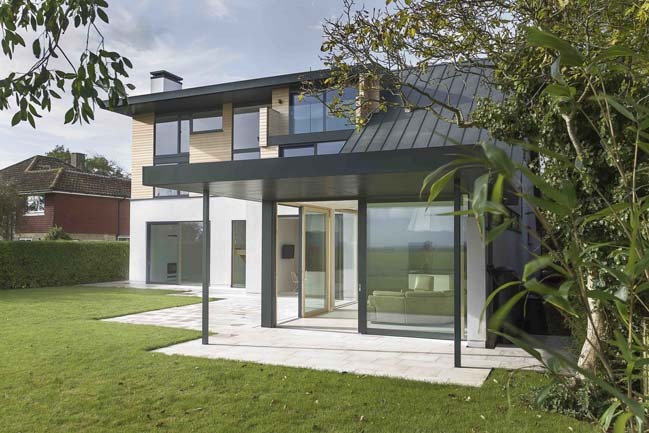 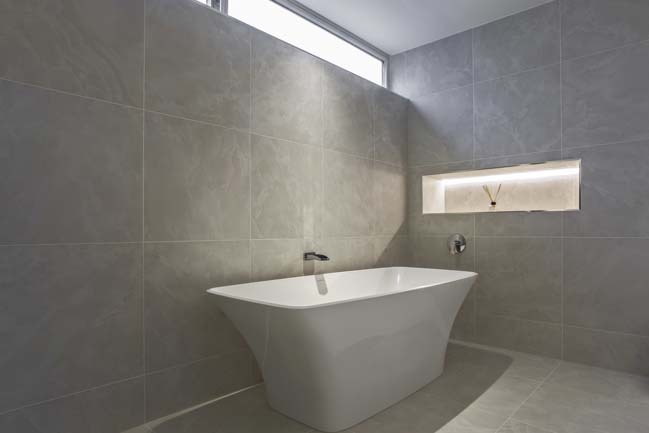 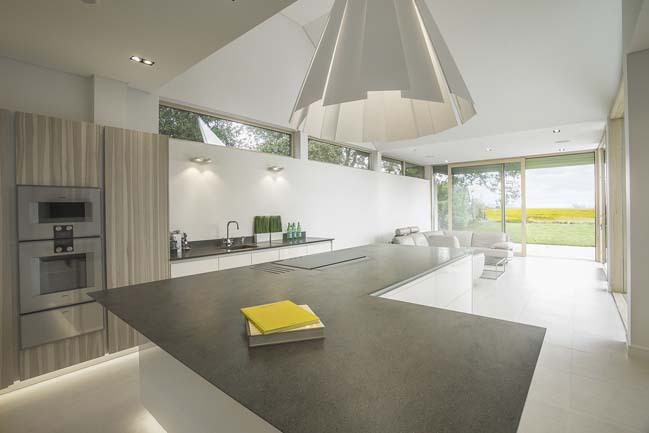 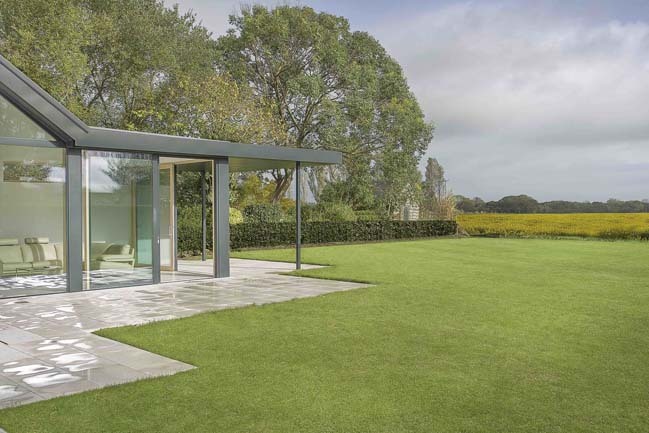 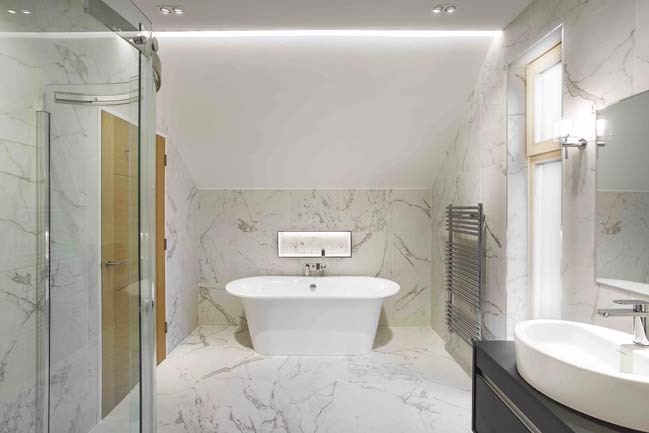 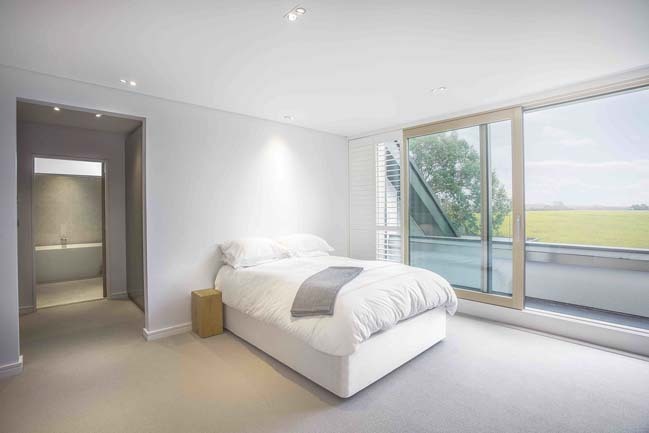 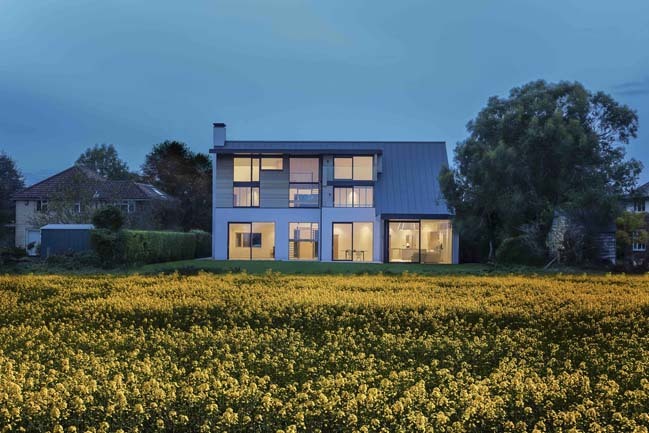 MeadowCorft is a large contemporary family house that was designed by OB Architecture to create a luxury house that would take advantage of the lovely views over the fields and the Solent beyond. 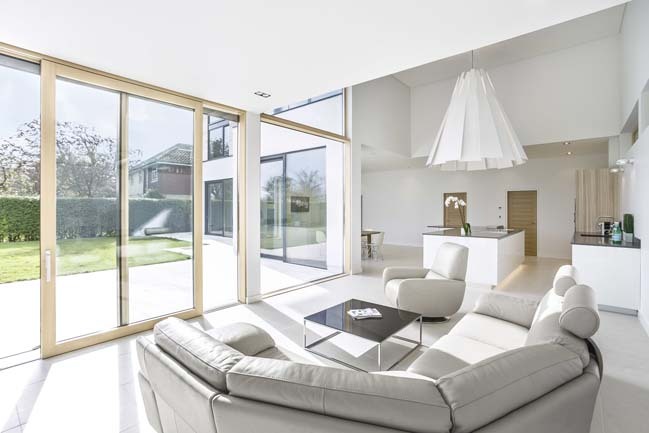 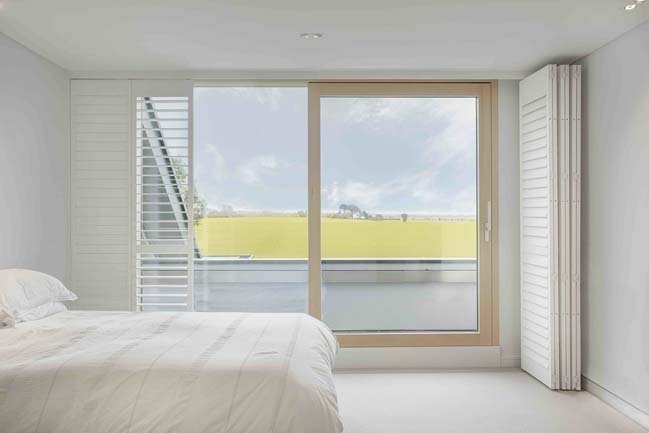 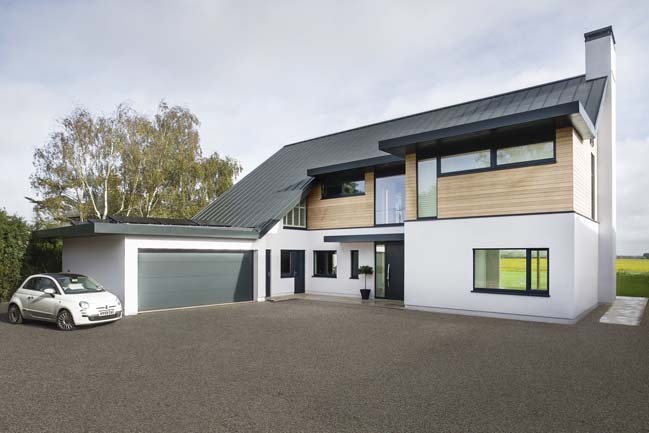 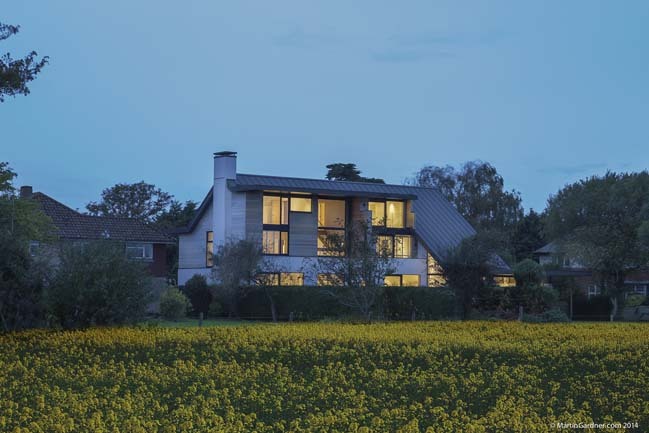 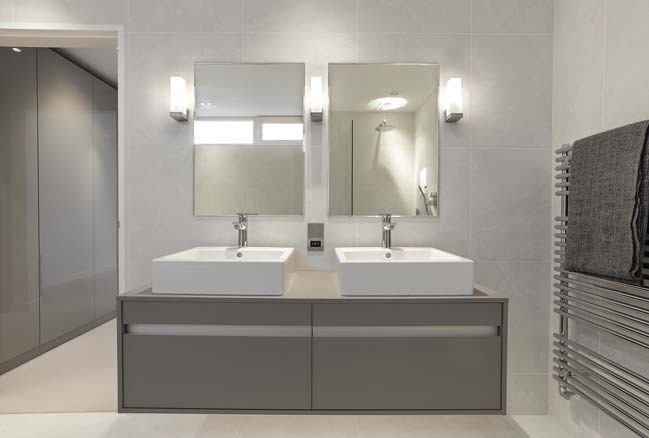 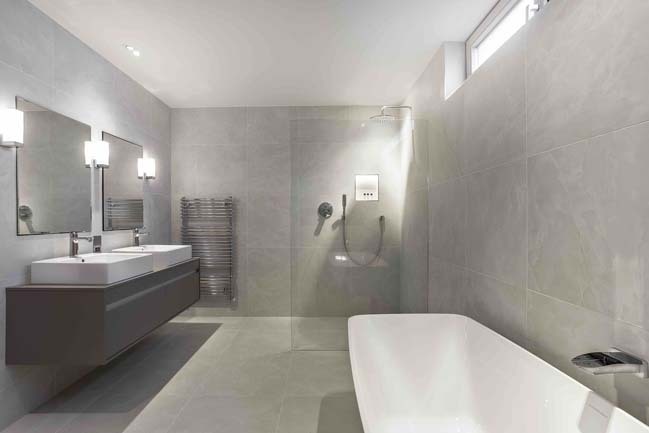 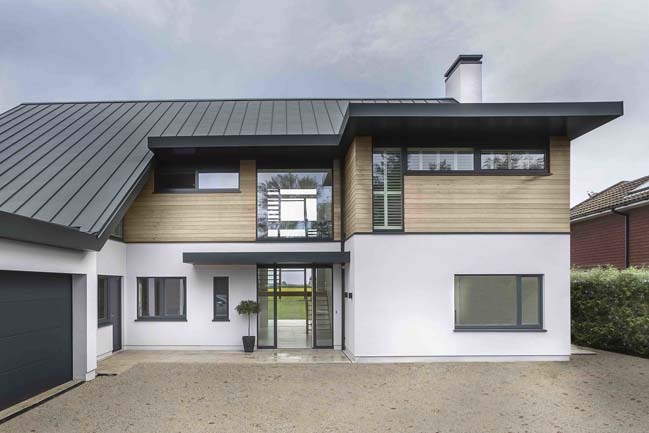 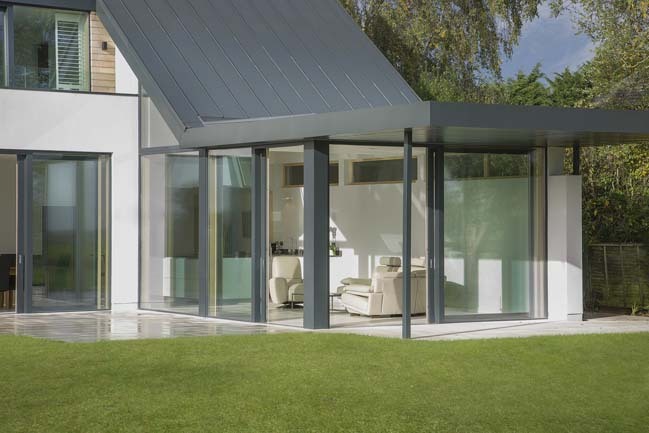 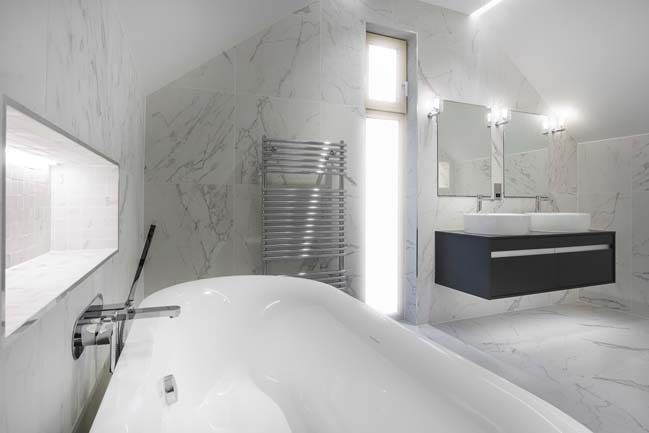 According to the architects: The site lies within an Area of Special Character that is made up of predominantly traditional pitched roof houses, so the design of the new house had to mediate between the clients desire for a contemporary house and the planners requirements for a pitched roof form. 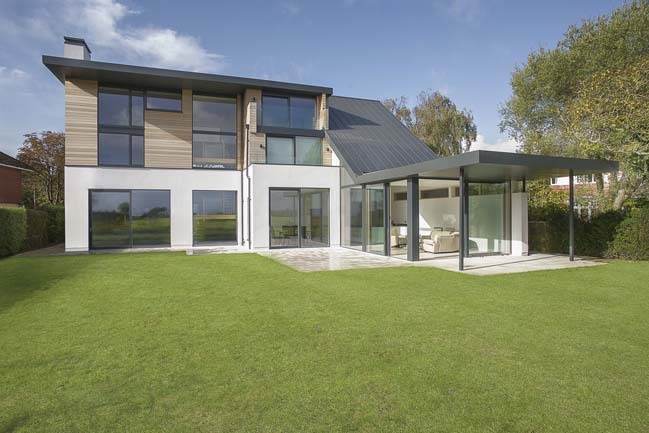 The design also had to appear modest from the front to respect the 2 storey properties either side. 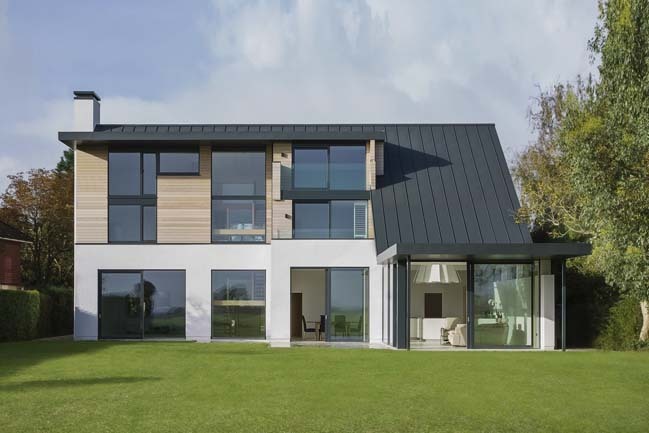 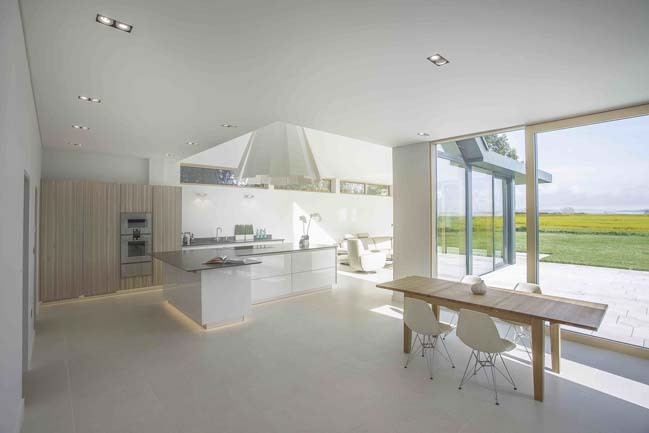 The resultant form is a house that appears as 2 storeys from the front, but whose roof rises up to 3 storeys at the rear to give expansive open views across the fields. 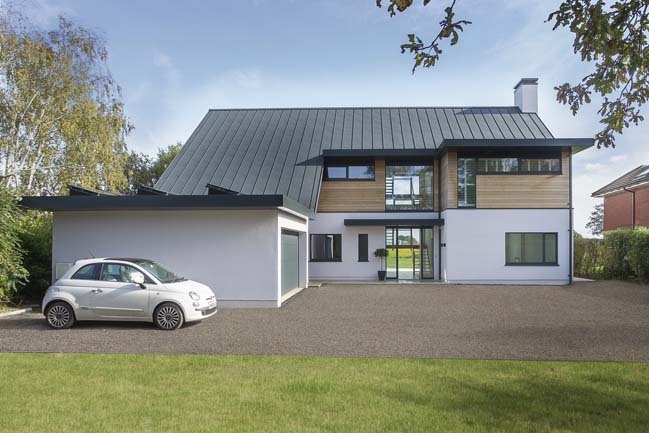 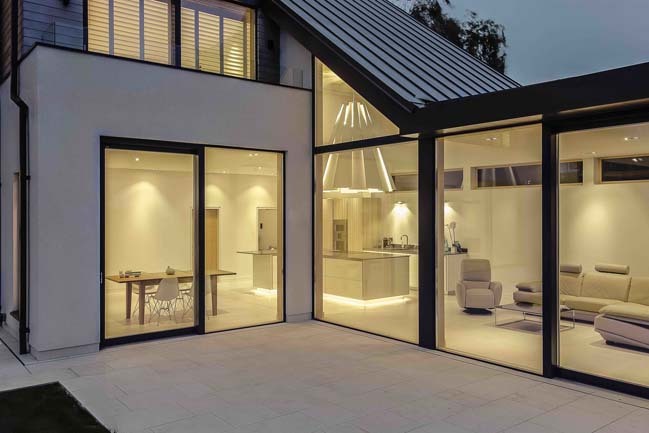 The pitched roof and large chimney to the side echo the character of the other buildings along the road, but is given a contemporary feel with the use of timber, render, a metal roof and large glazed openings.